Disclaimer: This review is produced in collaboration with Akai Fune Japanese Restaurant FOR Akai Fune Japanese Restaurant and 360Xperience. Akai Fune Japanese Restaurant took their first step in the F&B industry earlier this year, with the intention of making their mark through the sales of their signature Japanese Ramen and Shabu Shabu Japanese steamboat (only available via reservation). I was invited to try their Shabu Shabu Japanese steamboat, which I shall once again re-emphasise, requires RESERVATION!!! So please do not turn up at their restaurant asking for it and expecting it to materialise before your eyes because that aren't happening yo! Akai Fune means "red boat" in Japanese. In ancient Japan, the first thing that is seen coming to the shore each morning with the freshest products from the ocean is this red boat. Hence with that, it became the reason behind the naming of their restaurant as the owners strive to provide the freshest and highest quality food to their customers. Their products are flown in from Japan twice a week! Other than being a restaurant, Akai Fune is working towards serving its customers as a cafe and also an Izayaki (ie. a casual japanese drinking place that provides after-work drinking). Akai Fune aims to provide their diners with an opportunity to relax after a long day of work and to enjoy their meal in peace and comfort, hence they chose the concept of serving their customers in a "fun" and "casual" atmosphere. I was recommended by the lady boss to try out their Iced Chocolate and Passion Fruit Soda. The Iced Chocolate is indeed good because it wasn't too milky nor too sweet and the chocolate taste was just right! I really like their Iced Chocolate and I would give it a rating of 6-7/10? However I would not recommend having this drink with the steamboat because it is too filling and you really would want the extra stomach space for all the hot steaming food! Passion Fruit Soda... I love love love! The weather was so hot that day and I was so glad when this drink was placed before me. It was a life-saver!!! Like what I mentioned earlier on, the purpose of my visit to Akai Fune was to write a review and to help promote one of their signature dishes (ie. this Shabu Shabu Japanese steamboat). 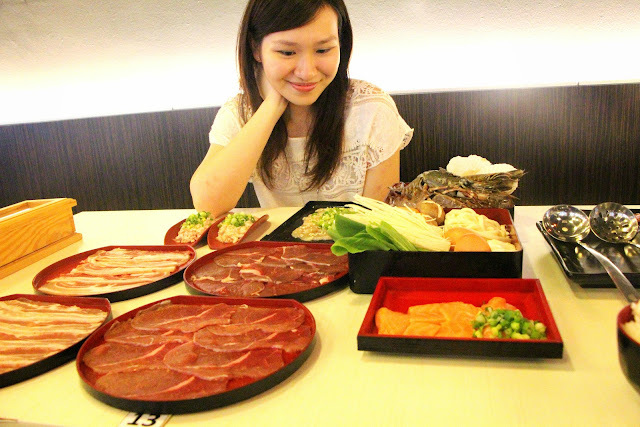 A bit more information about their Shabu Shabu steamboat: There are two packages available for your choosing. Both packages are priced at $79.90 and it is state to be for 1-2 pax. Do NOT be alarmed at the price yet! Got discount!! Wait for it! I'll talk about it at the end of the entry! For now, just enjoy the food pics and salivate with ease! LOL!!! Oh and, honestly speaking... that amount of food for ONE package... It is enough to feed like 3-4 PAX?!!?!?!?!?!! Therefore if you wish to optimise the amount of food consumed and spare a thought for the animals that died to provide you with this sumptuous meal (this is what you get for being an omnivore/carnivore), do huddle up your friends and make a reservation!!! My soup base combination was chosen for me and I am incredibly satisfied with the recommendations by the lady boss. JUST. LOOK. AT. THAT. AMOUNT. OF. FOOOOOOOODDDDDDDDDD!!!!!! I am dead serious when I say that this is NOT just for 1-2 pax!!! You gotta be a cow (because a cow has 4 stomachs) in order to finish this! Hell I don't even think 2 cows can finish this. So what's in your Shabu Shabu package? "Tsukune refers to a type of fish meatball which is added to hot soup. 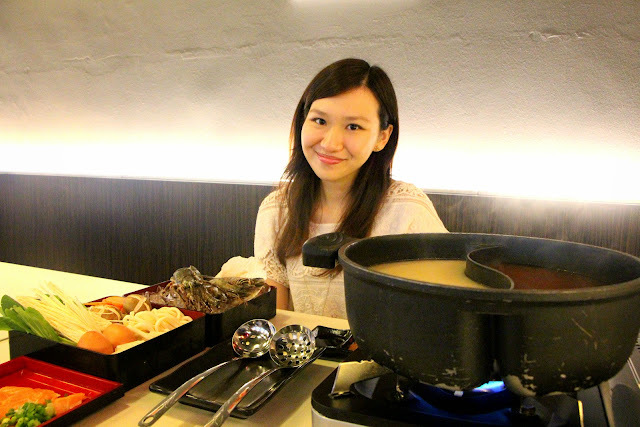 It is also enjoyed as 'Tsukune Nabe', a Japanese steamboat dish with local varieties found in regions of Japan." TRY KIMCHI SOUP!!! Kimchi soup is awesome! In hindsight, Akai Fune Japanese Restaurant is a brilliant place for a social gathering of two or more and the Shabu Shabu Japanese steamboat would serve as a perfect dish to order and create bonds over. 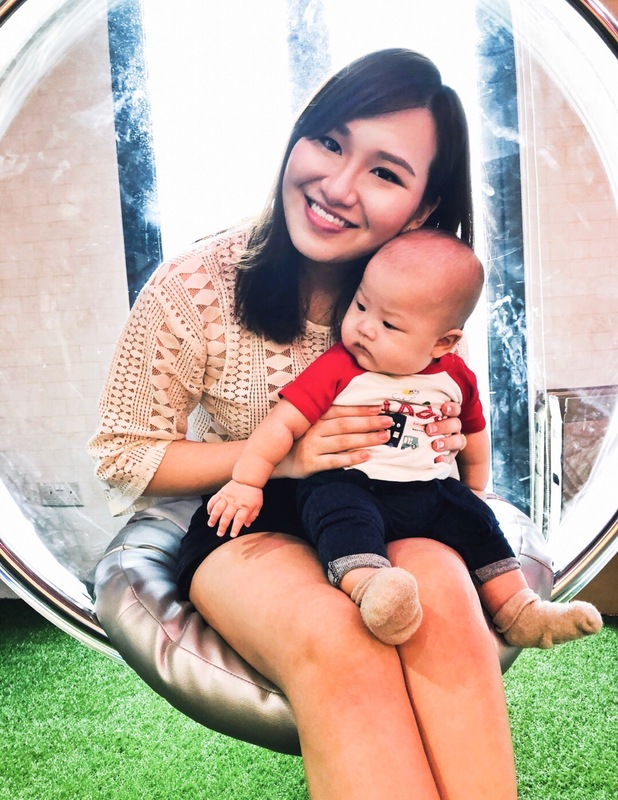 As mentioned previously, this entry has been written for both Akai Fune Japanese Restaurant and 360Xperience (read my previous entry for 360Xperience here!). Akai Fune Japanese Restaurant is one of the merchants working with 360Xperience! Therefore cardholders of the 360Xperience Privilege Card would stand to get 20% off their total bill, and for the month of their birthday you can also get 3 complimentary scoops of ice cream (from the 9 flavors available)!! To the lucky winners of the 360Xperience Privilege Card contest held back in July, this is another gourmet place that you can indulge at! 360Xperience has offered an additional 5% discount for my readers! So, do key in the promo code '1005' during checkout to redeem the additional discount! Complimentary Dining, Shopping, Spa vouchers worth over $200!!! "The acclaimed Siberia brand unlocks new solutions in audio for all; each headset, unique in design, features best-in-class comfort and sound." 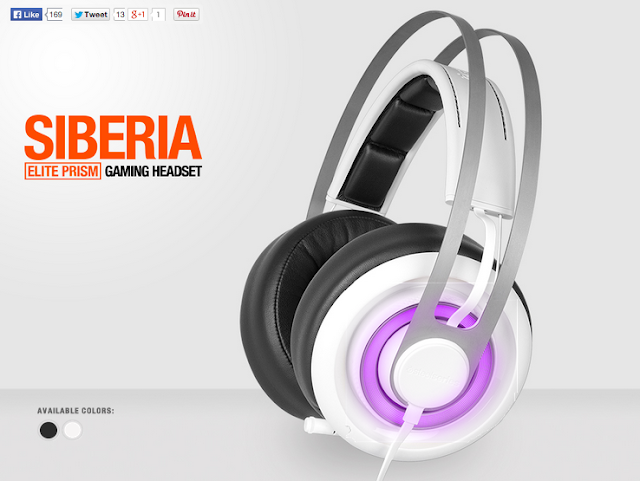 SteelSeries, the leading global manufacturer of gaming peripherals, introduces the all-new Siberia Headset family. With these four new Siberia headsets, SteelSeries now delivers the most comprehensive suite of gaming audio solutions to fit the needs of any gamer. Each Siberia headset is built on SteelSeries’ world-leading standards for amazing comfort, great audio and breakthrough design. But the breadth of this new range allows each and every gamer to unlock amazing new experiences tailored to exactly what the gamer is looking for in a gaming headset. 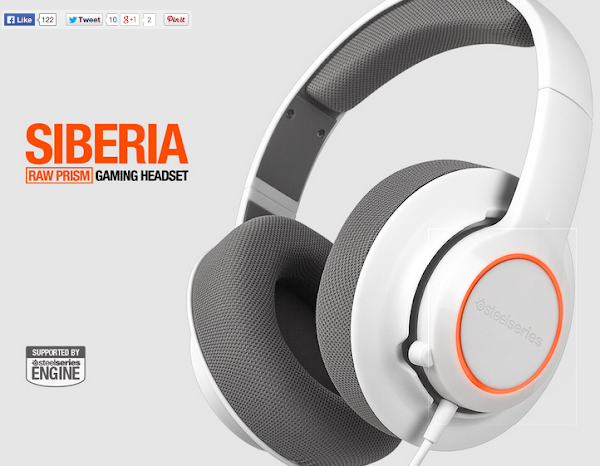 Siberia Elite has been upgraded to make the Siberia brand an even more compelling choice for the most selective gamer. An entirely new, slimmer microphone and an upgraded sound card improve the clarity of what you hear – and how you are heard. Ear cushion fine-tuning makes the headset even more comfortable for longer gaming sessions than the original. The Siberia Elite Prism still delivers Dolby Headphone® and Dolby Pro Logic IIx® technologies for up to a virtual 7.1-channel surround soundscape, customisable illumination and audio settings, as well as a swappable cable system for use across PC, Mac®, PS4™ and mobile devices, all of which were part of the Siberia Elite platform launched last year. This upgrade represents SteelSeries' commitment to never stop innovating on even our top-of-the-line, fully loaded products. For more information on Siberia Elite Prism Gaming Headset, click here. 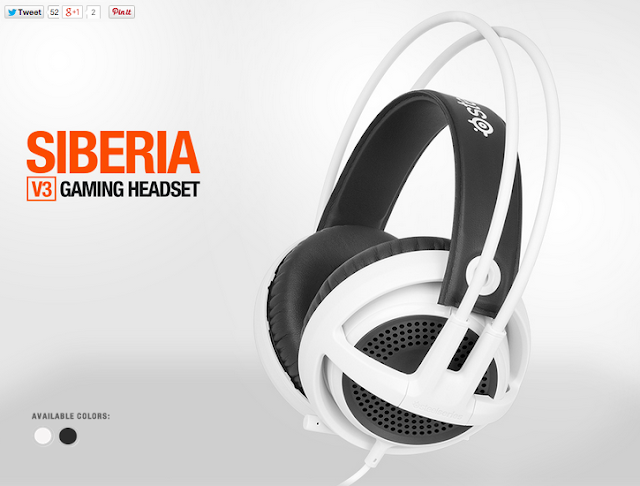 For more information on Siberia V3 Prism Gaming Headset, click here. At the heart of the family is the Siberia V3 Gaming Headset, which leads the line-up with its iconic and insanely comfortable Siberia suspension design. The audioscape has been competely redesigned with next generation SteelSeries audio drivers. These drivers deliver rich, detailed sound with powerful bass, and a wholly unique headset construction, including noise-reducing memory foam ear cushions that provide more sound isolation than ever before. The headset has a single-plug cable along with a dual-jack extension for use on all types of gaming devices from PCs and laptops to mobile devices and consoles. Available in black or white, the new Siberia V3 truly advances the features that have set this brand apart. 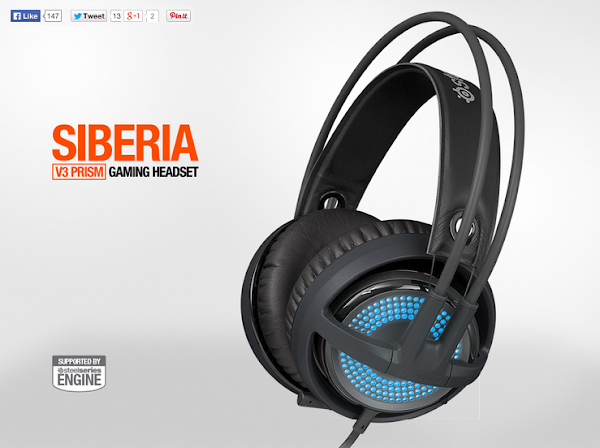 For more information on Siberia V3 Gaming Headset, click here. The new Siberia RAW Prism is an economical gaming headset with a lightweight design and comfort level worthy of the Siberia brand. Its SteelSeries speaker drivers push out a full range of sound with crisp detail. Powered by the SteelSeries Engine software, gamers can customise and back up audio profiles, while the illuminated ring on each earcup can be customised with 16.8 million colour options. A built-in microphone with Mic Auto Optimization technology for clear voice communication resides on the left earcup, along with an easily accessible microphone mute button. A USB connection powers the Siberia RAW Prism, making it compatible with PC, Mac, PS4 and more. For more information on Siberia RAW Prism Gaming Headset, click here. 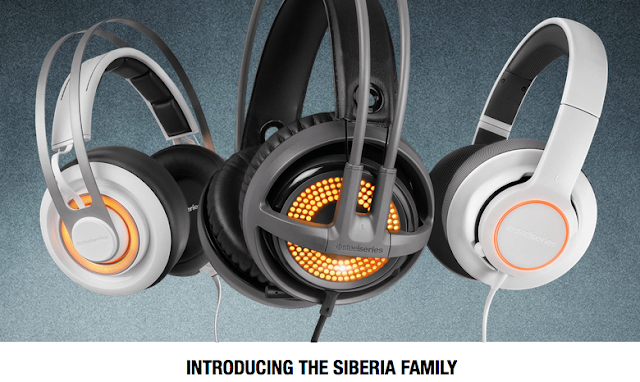 In this full lineup, there truly is a Siberia for the gamer in everyone. For more detailed information about each headset in the Siberia family and the availability of each, please visit SteelSeries Siberia. To join the conversation and stay up to date about new products, contests and giveaways, find us on our social media channels at Facebook or SG Facebook and Twitter.